Budget PrePay, Inc., d/b/a Budget Mobile, today presented nine new Lenova laptops, 20 new Android tablets and a $3,000 donation to the Boys & Girls Club of Greater Sacramento (BGCSAC) during a ribbon cutting ceremony for the opening of the company’s second Sacramento retail store at Southgate Plaza. The donations will be dedicated to upgrading the nonprofit’s two dedicated local technology centers. Budget Mobile offers government-assisted wireless services to low income families and individuals under the California LifeLine Program. Budget provides LifeLine discounts to California customers who meet certain eligibility requirements such as government assistance or a household income 150% below the federal poverty level. Eligible applicants receive a free cell phone with unlimited talk and text capabilities under Budget’s California Connect Unlimited service plans. “Partnering with the Boys and Girls Club of Sacramento is an honor and we are thrilled about the opportunity to help the Club with its growing technology needs,” said Danny Hyde, Chief Executive Officer at Budget Mobile. The Boys & Girls Club of Greater Sacramento enables young people in need to achieve great futures as productive, caring, responsible citizens. The BGCSAC oversees more than nine club sites and serves over 5,000 young people and teens annually through Club membership and community outreach. The Club’s two dedicated technology centers in Sacramento are located at the Teichert Branch at 5212 Lemon Hill Avenue and at the Raley Teen Center at 1117 G Street. The ribbon cutting marked the opening of Budget’s second full-service retail store at Southgate Plaza Mall, 4540-C Florin Road, and the company’s 23rd California retail location. 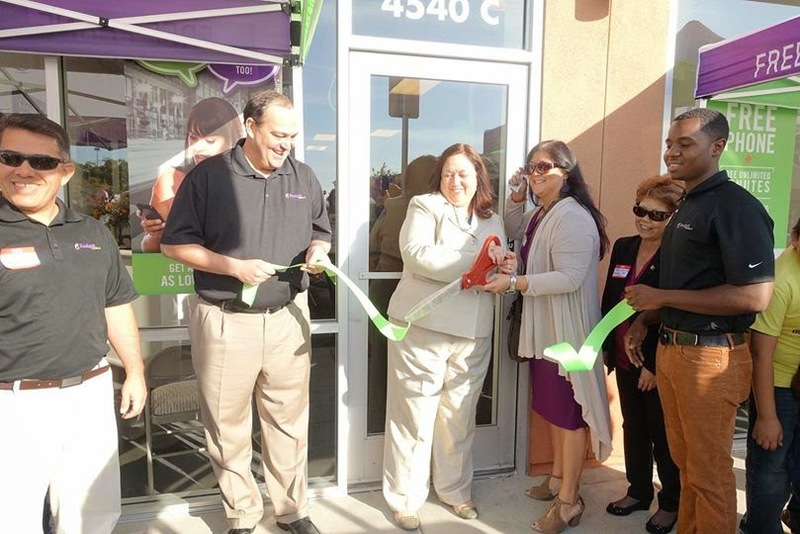 The first Sacramento store is located at the Northgate Mall, 2407 Northgate Boulevard, in Sacramento. California residents interested in learning more about LifeLine by Budget Mobile can visit the Bakersfield store or log on to http://www.budgetmobile.com/california/. Budget Mobile is a subsidiary of Budget PrePay, Inc., one of the industry’s largest prepaid telecommunication corporations, providing a range of communication services to approximately 850,000 individuals and families nationwide. Based in Shreveport, LA, Budget currently operates 49 corporate owned stores nationwide. For more information, visit www.budgetmobile.com. For more than a decade, the Boys & Girls Clubs of Greater Sacramento has enabled young people most in need to achieve great futures as productive, caring, responsible citizens. Today, more than 9 club sites throughout the region touch the lives of over 5,000 young people and teens annually through Club membership and community outreach. Clubs provide a safe place, caring adult mentors, fun, friendship, and high-impact youth development programs on a daily basis during critical non-school hours. Priority programs emphasize academic success, good character and citizenship, and healthy lifestyles. In a Harris Survey of alumni, 57 percent said the Club saved their lives. Learn more at www.bgcsac.org. The Budget PrePay, Inc., d/b/a Budget Mobile, offerings are a California LifeLine supported service. Only eligible consumers may enroll in the program and proof of eligibility documentation is necessary for enrollment. Eligibility is based on participation in a government assistance program or a household income below 150% of the federal poverty level. LifeLine is limited to one benefit per household, consisting of either landline or wireless service. LifeLine service is non-transferable. LifeLine is a government benefit program. Consumers who willingly make false statements in order to obtain the benefit can be punished by fine or imprisonment or can be barred from the program. Coverage limitations such as weather, signal strength and service outages may affect wireless mobile phone service, quality or access to E-911 and/or 911 in the event of an emergency. For more information on eligibility and the terms and conditions of the California LifeLine program, go to http://www.cpuc.ca.gov/PUC/Telco/Public+Programs/ults.htm.